Stop!! If you have not already, before you purchase this item go to the meal planner and custom design your meal plan. 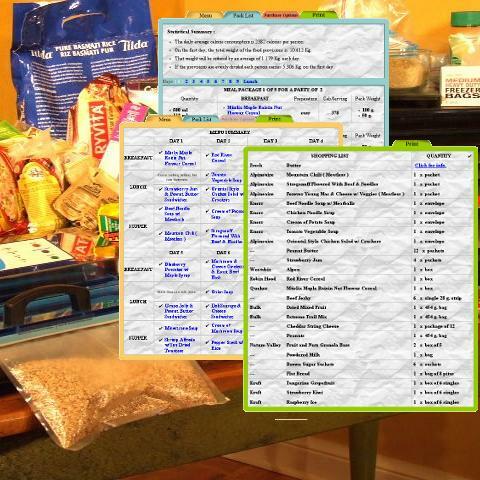 If you order without using the meal planner, each package will contain basic, default products. Each package will contain enough food for two people for one day. Using the meal planner is fun and intuitive and it will give you lots of information, such as how many calories you will be consuming each day, how heavy each package is and the total weight of your food supplies.